Extremely rare and famous Atlas of the Moon, made by Johann Nepomuk Krieger at the Pia Sternwarte (named after his wife) in Triest (Italy). 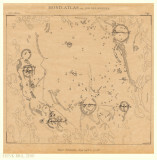 I bought this Atlas on July 13, 2007. Johann Krieger was a great artist with such an extraordinary drive, that it eventually destroyed him. So he is an inspiration and a warning at the same time. We should never forget Johann Krieger and remember him as one of the greatest. This gallery is to honor him. Update 2010 04 21: I intend to upgrade the quality of the scans the coming years, and to add them with their original overlay sheet, with handwritten designations by Krieger himself (I assume). Status 2010 06 11: Übersichtskarte, Tafel 1 - 13, 16, 17, 19 - 21, 27 finished. Thank you for making this collection available to us. It surely needs to be shared with those that love the Moon. 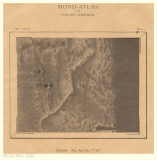 Thank you Henk for sharing Mond Atlas. Krieger was a truly skilled draftsman. Ich suche die Tafeln schon seit Ewigkeiten. Vielen Dank!!! I am just beginning to sketch my lunar observations. These are magnificent, and quite an inspiration - thank you for sharing them online! These are terrific. Thanks so much! These are most impressive lunar drawing. Not only do they show a great amount of subtle detail but they are masterfully rendered. Thank you _very_ much for generously sharing online these exemplary illustrations of Kreiger's.